It will be hard to match the 2015 NCAA Division I Indoor Track and Field Championships for Missouri athletes. Twenty-one Missouri athletes qualified for that meet and they earned 21 individual trophies (top-8 finish) and First-Team All-America Honors. That including national titles for Emily Sisson in the 5k and Kearsten Peoples in the weight throw. Mizzou’s Peoples joined three Missouri natives in earning trophies in the women’s weight throw, while three Missouri men took home trophies in the 60-meter hurdles, while three women earned trophies in the 5k as Courtney Frerichs and Diane Robison joined Sisson as top-8 finishers. Had Lindsay Vollmer been healthy enough to finish the pentathlon 800-meters strong, she likely would have added a 22nd trophy to Missouri athletes haul. With Sisson, Frerichs, Collen Quigley (3rd in Mile), and Jessica Kamilos (4th in DMR for Arkansas), those four former Missouri preps turned Division I All-Americans, are all now sponsored athletes competing professionally, and Sisson, Frerichs and Quigley all making to the sports biggest stages: the Olympics and/or World Championships. While 2015’s performance seems unmatchable, this year’s group of Missouri natives, those who competed at Missouri High Schools, or previously competed at Missouri colleges, who’ve qualified for the championships should be able to pile up the hardware. 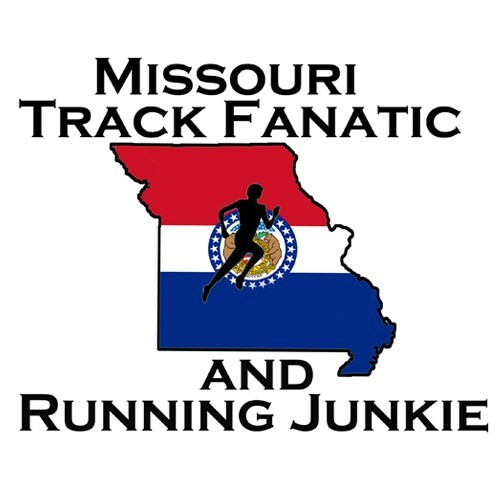 It appears 15 Missourians have qualified in 20 events. The meet is underway and goes on today and tomorrow in College Station, Texas at Texas A&M Gilliam Indoor Track facility for the second straight year. The top 16 athletes on the season performance list after declarations and scratches qualify for the meet, while the top 12 relays make the meet. However, apparent confusion about times or officiating races on oversized tracks led the acceptance of 16 4×400 teams on both the men’s and women’s side this year. That benefited two Missourians as it gave Texas Tech’s CJ Jones another chance to compete at an NCAA meet, and Kansas’ Isaiah Cole his first. Three Missouri women have qualified in five events, while 12 men have qualified in 15 events. Several Missourians have good odds to contend for national titles. Iowa native and Mizzou senior Karissa Schweizer will be looking for her fourth NCAA title, after claiming the 2016 Cross Country title and 2017 Indoor and Outdoor 5k crowns. Schweizer also added runner-up finish in the 3k Indoors last year. This season, after a disappointing 11th place finish at the cross country championships, Schweizer has set the track ablaze. She posted a collegiate best 15:17.31 5k in Boston two weeks after CC nationals. That time was a PR by 2 seconds and moved her from sixth to fifth on the All-Time Collegiate Indoor List and ninth on the All-Time US Indoor List. Five weeks later Schweizer ran a school record 2:44.12 1000-meters in Arkansas. Two weeks later, Schweizer really got the professional agents and sponsors drooling at the Armory in New York City at the Dr. Sander Columbia Challenge. In a race of mostly pros. Schweizer ran to a third-place finish in the mile in 4:27.54, beating Nike’s Shannon Osika and finishing just behind Canadian Indoor World Champs competitor Kate Van Buskirk and Rachel Schneider of Under Armour. That made Schweizer the fourth fastest collegiate mile ever behind only behind Jenny Barringer-Simpson, Leah O’Connor, and Sally Kipyego, and jumping her over the likes of Olympians Colleen Quigley, Shelby Houlihan, and Abbey D’ Agostino. A week later, New Hampshire’s Elinor Purrier would run the 2nd fastest time ever, bumping Schewizer back to the fifth spot all-time. We’ve known Schweizer has speed as she showed that to claim victory in her cross country national title, and showed it by blowing away the field in the last 400-meters on her way to her Indoor 5k title. However to show she can run that fast when her real future is in the 3k-10k, is impressive and gets fans only thinking about what could be. A week later, Schweizer returned to New York City for the prestigious Millrose Games. In a race as the only collegian with 13 pros/post-collegians, Schweizer wowed, taking fourth in a Collegiate Record of 8:41.60! That was just a half-second behind winner and Jamaican Olympian Aisha Praught-Leer, and even less than Olympic and World Championships medalist Emma Coburn, and South African World Championships competitor Dominque Scott. Schweizer’s time put her just ahead of Jenny Barringer-Simpson’s 8:42.03 from 2009, as well as ahead of Sally Kipyego, Kim Smith, D’ Agostino, Sisson, Scott, and fellow Iowa natives Lisa Uhl, and Katie Flood. The time also put Schweizer 10th on the All-Time US Indoor list. Two weeks ago, Schweizer cruised to two more SEC titles. She won the 3k with a 10-second meet record of 9:00.56. Then Schwezier and her teammates took to the track for the distance medley relay. Schweizer got the baton in ninth place as she took off on her 1600-meter anchor leg. Schwerizer’s performance was probably the best of the meet, snagging the attention of those at Texas A&M facility and those watching on national tv on the SEC Network. Schweizer split a 4:25.56 1600-meter anchor leg, blasting around the competition and quickly putting away the field. The Tigers won in 11:08.18, moving them to 22nd on the Division I performance list. Schweizer’s clocking. 2017 NCAA DI Cross Country national champion Ednah Kurgat is third with an 8:57. Colorado’s Dani Jones, who caught Schweizer just before the finish to keep the 2017 Indoor 3k title from Schweizer, didn’t qualify in the 3k this year. In the 5k, Kurgat sits second on the national list with her 15:19 running when she finished just behind Schweizer in Boston two weeks after winning the cross country title. North Carolina State’s Elly Henes has the third best time of the season with a 15:19. Kurgat’s teammate at New Mexico, Weini Kelati, is fourth with a 15:37 as a freshman. It will be interesting to see how the race plays out and if Schweizer will get a chance to break Emily Sisson’s 15:12.22 collegiate record. Kansas City native and University of South Dakota sophomore Chris Nilsen will seek his second straight NCAA Indoor title in the pole vault. Nilsen, the two-time Missouri State Champ who set the US High School record as a senior at Park Hill High School of 18-4.75 (which has since been bettered by Louisiana’s Armand (Mondo) Duplantis), set the US Under-20 Indoor record last year, won indoors, took third outdoors, then placed third at the US Senior Championships to make the World Championships team in London where he just missed the final. Mar 10, 2017; College Station, TX, USA; Chris Nilsen of South Dakota wins the pole vault at 18-8 1/4 (5.70m) during the NCAA Indoor Track and Field Championships at the Rhonda and Frosty Gilliam Jr. Indoor Track Stadium at the McFerrin Athletic Center. Nilsen’s upped his overall pole vault Under-20 US Record with a 18-10.25 clearance at USA’s last June. However, his record seems in flux. Despite competing for his mother’s native country of Finland, Duplantis has dual-citizenship and USA Track and Field rules never thought to make a rule that an athlete that competes for another country but has dual citizenship can’t have a USA record. It appears that at the annual USATF Convention last December, it was concluded that Duplantis holds the record. Hopefully that will soon be corrected. On February 16, Nilsen cleared 5.80m/19-0.25 to break his Coach, Derek Miles facility record at Nebraska’s Devaney Center. It also put him in a tie for fifth with three others on the All-Time Collegiate Indoor List. It also tied him for eighth on the All-Time College overall list, Indoors and Outdoors. That mark puts him nearly six inches ahead of Matt Ludwig on the DI performance list. Nilsen hasn’t been invincible this year though. He was fourth at the Tyson Invitation in Arkansas behind high school senior and winner Duplantis, and runner-up Ludwig. He took second at his conference meet, The Summit League with just a 5.20m/17-0.75 clearance, but also took sixth in his lone high jump of the season, clearing 6-6.75 to score team points for the third place Coyotes. Sprint star Ashley Henderson will be looking for her first national title in Texas. The St. Louis area native and former state champion for Hazelwood Central, is the 7th seed in the 60-meters and 8th seed in the 200-meters. She blasted onto the national scene in 2016 with her runner-up finish in the 100-meter dash at the outdoor championships, while also qualifying in the 200 and 4×100. She went on to compete in the 200-meters at the Olympic Trials that year. Mission Hills, Kansas native and former Missouri high school All-Stater for St. Theresa’s Academy Courtney Coppinger hopes to be the third Missourian to earn All-American honors in the Distance Medley Relay for Kansas in the last year. St. Louis area natives and seniors Whitney Adams (Francis Howell HS) and Hannah Richardson (Kirkwood HS) ran the 800 and 1600m legs for KU last year to help the Jayhawks place seventh. Coppinger ran the 1200-meter lead-off leg for KU’s qualifying performance of 11:01.19 at Notre Dame last month. With Kansas All-American Kenyan Sharon Lokedi schedule to run the 3k on Saturday as the eighth-seed and the 5k Friday night as the sixth-seed, 35-minutes before the DMR, it seems likely that she’ll skip the DMR and Coppinger could be switched to the 1600 leg, or another teammate will sub in to run that anchor leg. Cole Rockhold, the Independence, MO. native and former All-Stater for Truman High School Is on a tear the last few years. The redshirt junior claimed All-American honors in cross country with a 32nd place finish, helping his Colorado State Rams to a top-10 finish. Rockhold is set for his second straight NCAA Indoor Meet, after taking 6th in the 3k last year. Rockhold was 19th in the 5k at the NCAA Outdoor Meet last June. Rockhold set the school record with his 7:50.10 3k in February on Washington’s 300-meter track. Then at the Mountain West Championships, ran a 4:02.13 mile at altitude, which converts to 3:56.85. That mark puts his eight on the DI list, and is the sixth seed of those entered at NCAA’s. His 3k time puts him 7th on the national list and as the 7th seed. Another Missouri distance men doing a double at nationals is Amos Bartelsmeyer. The St. Louis native and state champion for MICDS has had plenty of ups and downs in college. Injuries appear to have kept him out of competition, but he is running as well as ever now as a fifth-year senior for Georetown. This will be Bartelsmeyer’s fourth NCAA Indoor meet, having placed 10th in the DMR in 2014, fourth in the DMR in 2015, and taking 11th in the Mile and 12th in the DMR in 2016. Bartelsmeyer ran a PR 3:57.53 mile in early February, which puts him 15th on the DI list, and is the 12th seed. Bartelsmeyer anchored the Hoyas to a 9:36.54 DMR which converts to 9:28.82 for small track size, which puts them ninth on the DI list and seeded entry. Georgetown’s next best mile has posted a 4:04, so it seems unlikely that if Bartelsmeyer runs and looks great in the mile prelims and advance to Saturday’s final, that he would skip the DMR Friday night, in order to improve his chances Saturday. Ashland native and former Southern Boone County High School state champion and 7-0 high jumper Landon Bartel is making his second NCAA Indoor Meet, and fourth overall. The Nebraska senior had a breakthrough in his first meet of the season, clearing 2.21m/7-3 for the first time ever. On January 20th, Bartel went event higher, clearing 2.23m/7-3.75 on his home track. That mark puts ties him for 9th on the DI list and meet seed. Bartel cleared 2.19m/7-2.25 to claim the Big Ten conference title two weeks ago, giving him his second title in the last three indoor seasons. Cahokia, Illinois native Ja’Mari Ward finally gets to compete at an NCAA Meet. The Mizzou redshirt freshman is a top-10 all-time US high school performer in the long jump and triple jump with marks of 26-1 and 53-7. Ward sat out indoors last year with illness and after winning the SEC Outdoor title with a 26-8 jump, missed the NCAA meet with hamstring issues. He went on to make his second US Junior team though last summer, winning the Pan-Am Junior Games long jump in Peru last July, a year after winning the Long Jump qualification round with his 26-1 high school best, only to finish out of the medals in the next days finals. Ward gets to follow in his brother La’Derrick’s brother footsteps. La’Derrick became a 8-meter/26-foot jumper at Southern Illinois University-Edwardsville for Coach Iliyan Chamov and improved greatly from high school to earn DI All-American honors. Chamov now coaches the younger Ward and the rest of the Mizzou jumpers. Ward’s 7.97m/26-1.75 jump at the Missouri Collegiate Challenge, set a school record and puts him tied for fifth in DI, as he is seeded. Papay Glaywulu will make his first NCAA meet in his first collegiate season. The Park Hill High school state champ in Kansas City is a Liberian refugee, who has found success in the triple jump. Glaywulu went over the 50-foot barrier in the summer of 2016 before his senior year. He then posted a US Top-5-mark last indoor season in the high schools ranks with a nearly 50-foot jump. Last spring, he went over the 50-foot barrier again before winning the Class 5 title at the Missouri State meet. The Oklahoma freshman ended the regular season 17th on the national DI list, but with a scratch during the NCAA meet declarations, he was accepted as the final entry in the meet in the event. His 16.01m/52-6.5 jump came at the Big 12 Championships to place fifth and earn All-Conference honors. As mentioned, confusion over running 4×400-meter races on non-200-meter tracks ended up causing the NCAA to expand the 4×400 fields to 16 from the normal 12. That got Texas Tech senior and Cardinal Ritter Prep 400/800-meter superstar into his sixth NCAA Meet. “CJ” Charles Jones, will make his fourth NCAA Indoor meet, as the Red Raiders are seeded 13th and 13th on the national list with their 3:05.62 converts from 3:05.18 at altitude. Jones missed out on making the meet in the 800 by a half-second. His 1:48.66 Big 12 runner-up finish puts him 22nd on the DI list. Jones will be looking for his fourth 4×400 top-8 finish trophy. The 4×400 ruling could become controversial. Texas Tech is ranked #1 in the national team rankings, and a big race by their 4×400 that could be the difference in the team scores might upset other high placing teams and coaches. Isaiah Cole had a huge season as a senior for Hazelwood West High School in 2016, capturing the 400-meter Class 5 state title and helping former Coach Phil Wolbrinck and staff earn a state team trophy. The sophomore at Kansas were added to the 4×400 field and are the 16th seed with their 3:06.76. Cole has a season and college best of 47.79 and took 10th in the Big 12 600-yard race in 1:12.42, and ran on the 4th place 4×400. Four former Missouri collegians will be competing at NCAA’s with their new schools. Vincent Kiprop quickly became not only an NCAA Division II national champion for Missouri Southern State University in Joplin, but an All-Time great in Division II with his personal bests of 13:42 and 28:19 for 5k and 10k. Kiprop transferred to Alabama this year with fellow Kenya Albert Kigen from an Arizona junior college. Kiprop placed 7th at the DI Cross Country Championships, leading Alabama to a 14th place team finish. Kiprop sits 4th on the DI list with his 13:40.97 5k at Iowa State’s 300-meter track, while his 7:55.79 3k best puts him 25 in DI. Kiprop placed 3rd in both races at the SEC Championships. He’ll run the 5k Friday night. After setting the school record of 17-11+ and later placing 10th at the 2016 NCAA Outdoor Championships in the pole vault, Mizzou freshman Matt Ludwig transferred to his home state university of Akron after an assistant coaching change in Columbia. Ludwig placed third at last year’s NCAA Indoor meet and had a season best of 18-1. Outdoors, Ludwig set a PR of 5.70m/18-8.25 at a Zips home meet, then went on to win the NCAA title with a 5.60m/18-4.5 clearance. He won the MAC title two weeks ago and his season best of 5.66m/18-6.75 is second in DI behind only Chris Nilsen. Virginia and Texas native John Warren placed 11th and 12th in the triple jump at the 2015 and 2016 NCAA Outdoor meets for Mizzou as a freshman and sophomore. He didn’t compete last year, and how is at Southern Mississippi. Warren is 6th on the DI list and is the 6th seed with his 16.34m/53-7.5 winning jump at the Conference USA championships. Illinois native Kahmari Montgomery exploded onto the national scene as a Mizzou freshman two years ago. He won the SEC Indoor and Outdoor titles in the 400 in 45+ seconds. He wasn’t able to qualify for the 400-meter finals at the NCAA Meets those years, but earned 2nd team All-American honors, and made the World Junior team in 2016, running the 400 and winning a gold medal in the 4×400. Montgomery struggled to reach those freshman results last year and came up short of the NCAA meets. Men’s sprints coach Carjay Lyles left for his alma mater Tenneessee last summer and then moved to Akron last fall. Montgomery transferred to Houston over the summer. He’s having a great junior season, sitting 5th on the DI list with a 45.53 400m to break the American Athletic Conference Indoor Championships Meet record. His 4×400 squad sits 4th with a 3:04.18. Two athletes just across the river from St. Louis will compete and have good shots of earning trophies. Emmonnie Henderson was a big-time recruit in basketball and the throws at Edwardsville, IL. high school. Henderson signed with Louisville to play basketball and also planned on throwing. After a few years of basketball, Henderson gave it up to focus completely on the throws. The redshirt senior has the second-best toss in the shot put with a 18.14m/59-6.25 ACC winning mark, while Arizona State’s Maggie Ewen has the best toss in college with a 63-0 mark. Henderson is 31st on the weight throw list with a 20.26m/66-5.75 toss. This will be Henderson’s 5th NCAA Meet, her third Indoors. Henderson has three top-8 trophies, a discus 3rd in 2016, 6th in the shot put Indoors in 2017, and a runner-up finish outdoors in 2017. LaJarvia Brown was the 2016 St. Louis Post-Dispatch Metro Track Female Athlete of the Year. The Alton High School grad from Alto, Illinois was a 43-foot triple jumper as a senior. She’s not a sophomore at Texas A&M. Brown is 7th on the DI list with her 13.31m/43-8 mark. Brown also sits in a tie for 29th with a 20-2.5 long jump and 54th in DI with 3813 points in the pentathlon. Brown is the triple jump seventh seed.